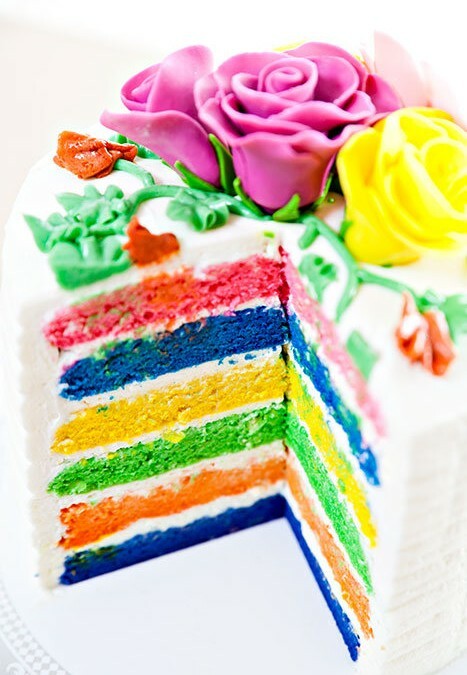 Check out our Rainbow cake! Ine’s Cakes Rainbow Cake is a multi layer, multi color sponge cake with Swiss meringue buttercream for frosting and cream cheese filling. Available in a 6″ ($45) and 9″ ($65) round cake. Contact us to order one.